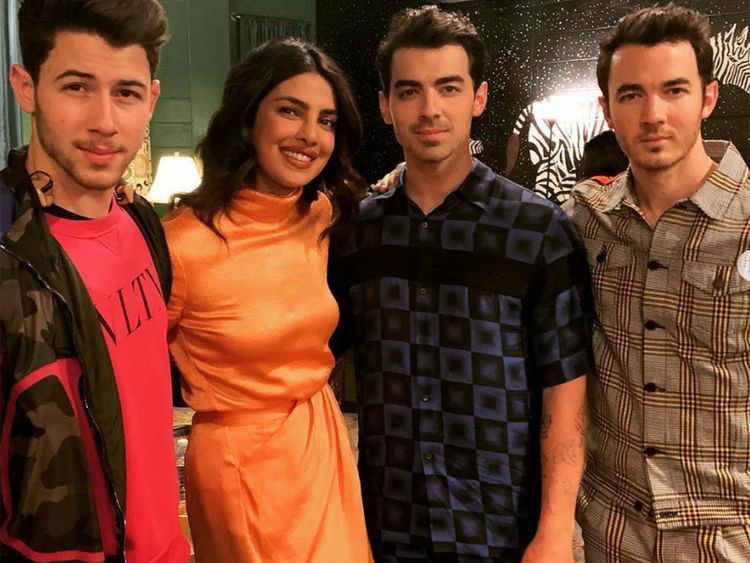 Indian actress Priyanka Chopra Jonas attended her first Jonas Brothers concert in Atlanta amidst rumours of a divorce. Priyanka on Sunday took to her Instagram page to share the photograph alongside husband Nick and his brothers Joe and Kevin. “My first ever Jonas Brothers show. And it was incredible! I am so proud of these guys!” she captioned the image. The ‘Isn’t It Romantic’ star has featured in Jonas Brothers’ latest music video ‘Sucker’ and the two were also seen vacationing in Miami. On the work front, Priyanka will next be seen in the upcoming Bollywood film ‘The Sky is Pink’. While Nick is shooting for the next instalment of the ‘Jumanji’ franchise.